New! Dimensions Block of the Month or All at Once - Starts Anytime! has not been rated yet. With this item you will earn a minimum of 20.97 Points in Homespun Rewards! 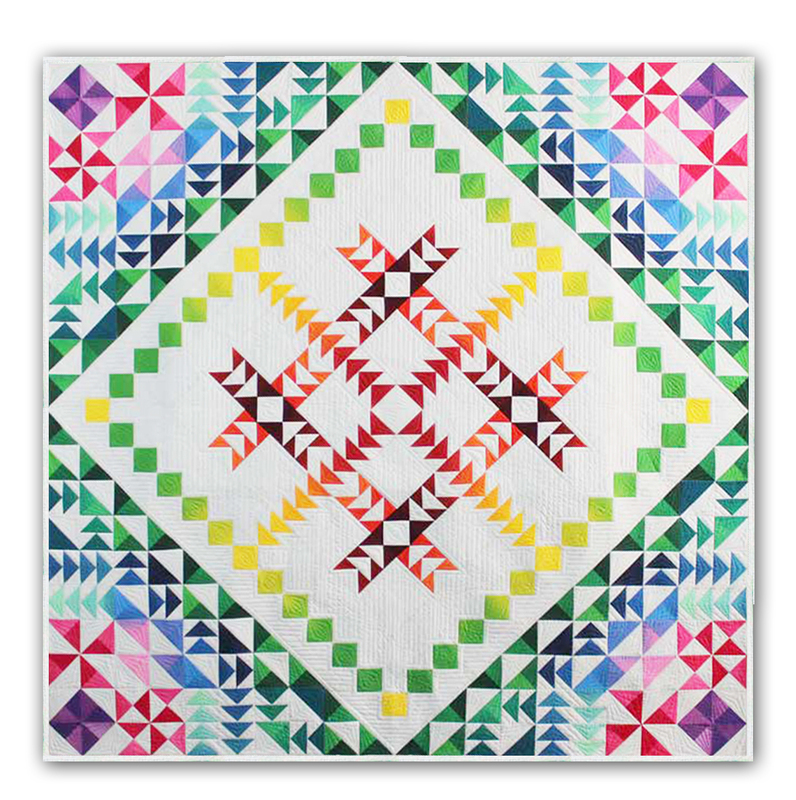 This is a beautiful quilt that features the Kinkame Shades Ombre fabric by Clothworks. This awesome design is full of depth and dimension, is a great skill builder, and the design leverages ombré color variation so cutting fabrics is simple and result looks fabulous! The finished quilt measures 80" x 80". With your Monthly Kits, we will also be providing links to each month's tutorial. These tutorials, while not necessary, will really help make these blocks a breeze. The Dimensions Pattern Booklet is required to make the quilt. The cost is $30, and the booklet will ship with the 1st month. Full Color/ 22 pages. This is an 11 month program, and the cost is $14.99 plus shipping each month. Each month you will receive the background and ombre fabric required for that month's blocks. We also offer this as an All at Once. The cost for the fabric pack is $164.89, and will ship approx. 1 week after the BOM is released. Each month's fabrics are conveniently packaged for your convenience. US Shipping is Free, and our International Customers receive a 20% shipping discount. 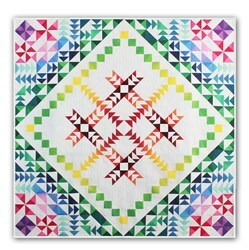 The 6 1/2" Square ruler is used throughout this quilt. If you would like, you can also reserve a ruler here, and we will send it with your first block. The cost is $12.99. The backing on the original quilt is a plain white -the same as you see in the background. The cost is $48.90 and will ship with your first month. Add even more dimension and sparkle with our Exclusive Swarovski Crystal Pack. The pack includes 1000 crystals, and you will bring your quilt to the next WOW level!